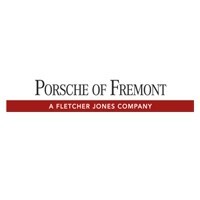 that is currently leased with Porsche Financial Services and lease or finance a New 2019 (all models) or 2018 (Panamera or Macan) Porsche vehicle through a Porsche Financial Services lease agreement or Porsche Financial Services finance contract as set forth below. Contact us to learn more and schedule your VIP appointment today! the specific vehicle eligibility requirements of the finance or lease program utilized. *Available when leasing or financing select New or PACPO Porsche through Porsche Financial Services. Contracted term on existing PFS lease agreement must be 24 months or above to be eligible for the program. Single Pay Lease Agreement are not eligible. Customers whose payments are greater than $2,500 (new of use tax) are eligible to receive the $2,500 maximum. Payment amounts above the maximum must be paid including any applicable use tax on the amount paid. Only one EOTLLP offer per PFS account. Vehicles must meet the standard PFS vehicle eligibility requirements of the PFS lease/retail finance program as applicable and or the specific vehicle eligibility requirements of the finance or lease program utilized.Certain exclusion apply. See dealer for details. Offer expires July 02, 2018.